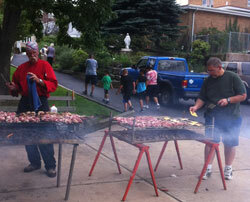 On Saturday, September 24, 2011 the smell of barbecue drifted through the Assumption Catholic School neighborhood. The faculty was hosting its sixth Back to School Barbecue. They offered a delicious variety of meats and salads. Choices ranged from a simple hot dog to tasty shish kebab. The salads included the regular potato salad and beans to a barbecue corn salad. This year, thanks to the generosity of The Roughnecks Motorcycle Club of Monmouth County, families were entertained with music by Sound Worx. While the dance floor was made up of mostly children, occasionally an adult could be seen venturing out to dance. 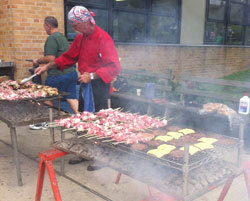 The barbecue was a great way to welcome new families, and for old families to catch up after the summer break. 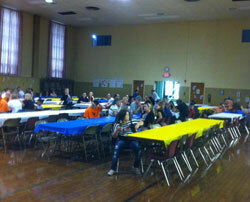 We hope those that attended had a great time!